Earlier today at Gerry's Grill, Greenbelt 3, The Philippines' longest running environmental awareness concert, Earth Day Jam 2013 preview was presented to the media. 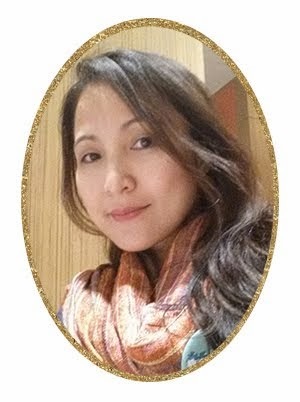 Gracing the event were River Maya, Mayonnaise, Abra and Earth Day Jam 2013's executive producer, Ms. Lou Bonnevie. Earth Day Jam 2013 brings together the biggest names in show business, featuring some of the country's fave rock bands Rocksteddy, Callalily, ,Rivermaya, Sandwich, Moonstar '88, Mayonnaise, Ely Buendia's new band The Oktaves with Soul siren Nina, reggae band Brownman Revival, Reggae Mistress, and former 6 Cycle Minds frontman, Ney, with singer/songwriter female icons Lou Bonnevie, Kitchie Nadal and Barbie Almalbis. 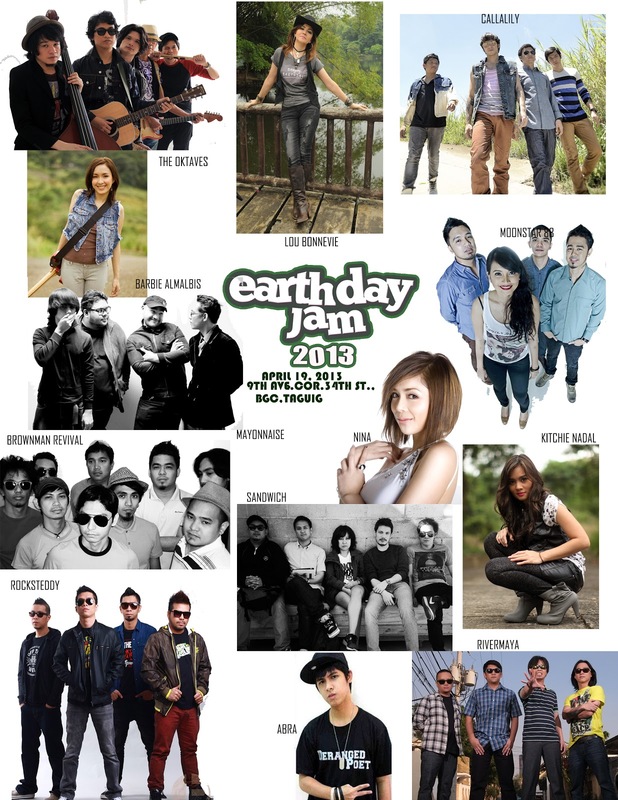 Newbie groups joining Earth Day Jam 2013, which has become a traditional venue for aspiring and established Pinoy pop musicians, include the hiphop sensation Abra, bands Gracenote and Save Me Hollywood. Kalayo, formerly known as Pinikpikan will provide the world fusion touch with surprise artists expected to come and join the “jam”. Earth Day Jam 2013 - A Concert for Environmental Change is a FREE CONCERT that will be staged "live" on April 19, 2013 at the 9th Ave. corner 34th St. of the Bonifacio Global City in Taguig beside the Mercato Night Market starting 6pm. For more info, Join and like Facebook EARTHDAY JAM 2013. Kitchie Nadal will be here? I loooove her!! !